I'm taking the week off from blogging while we finish up with this move. Retrospectively, I probably should have taken a day or two off work to make things easier, not a seven day project. Lesson learned. 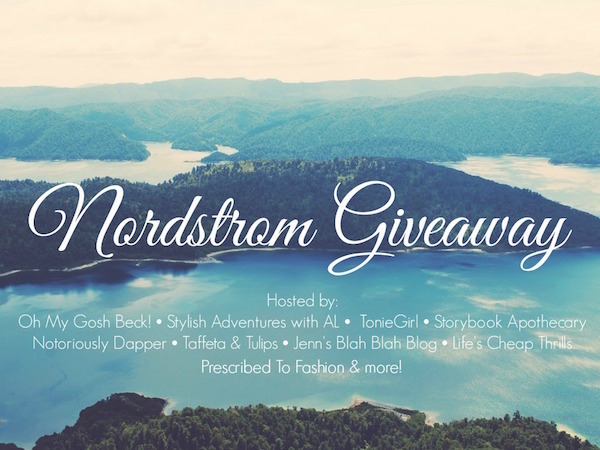 In the meantime, don't forget to enter for a chance to win a 300$ Nordstrom gift card! Rules: Use the Rafflecopter form to enter daily. Giveaway ends 4/23 and is open worldwide. Winner will be notified via email. Hope you have a great move! Good luck! Good choice! You definitely deserve some time off. Happy moving! Good luck with your move, girly!